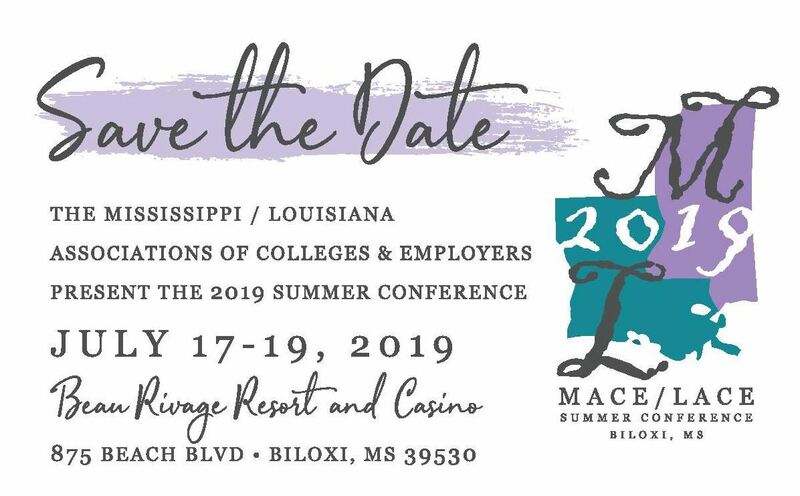 The Louisiana Association of Colleges and Employers provides a meaningful connection between members of college career services and employer representatives who recruit on college campuses. Create relationships that will encourage the free exchange of ideas related to recruiting and hiring in the State of Louisiana. As a LACE member, the relationships formed, information learned, networks created, and resources provided are invaluable. Affiliate - $50.00 (USD) Subscription period: 1 year No automatically recurring payments Affiliate membership may be granted to professionals that provide a service or product to career services and/or college relations/human resources staffing functions who do not meet the criteria for other categories of membership. The mission and purpose of these organizations must be complementary and supportive of the mission and purposes of the Louisiana Association of Colleges and Employers, as determined by the Membership Committee. Affiliate membership may include employees of organizations such as: publishers of career materials, software companies, advertising firms, media organizations, chambers of commerce, consultants in college recruiting for an institutional employer/college member, college/university faculty, and supervising managers for a regular college/university or employer member. Affiliate members may attend conferences and workshops, and may serve on committees. Affiliate members may not vote or hold any elected or appointed offices. Student - $25.00 (USD) Subscription period: 1 year No automatically recurring payments Individuals enrolled in degree granting programs of accredited colleges/ universities who have demonstrated interest in the career services and employer relations profession and who are not employed full-time in the profession. Membership dues shall be half (1/2) of the full individual membership rate. Student membership is not available to those who would qualify for membership under the Regular Membership category. Student membership eligibility ends six months after the completion of the degree, or upon employment in the field, whichever comes first. Student members are eligible to attend conferences and workshops, and serve on committees, but cannot vote or hold office. Become a LACE Sponsor! Choose the level that is right for you. Find out more!